10 Very Retirement-Friendly States for Retirement: They Want You There! February 12, 2016 — In looking for your best place to retire it is nice to know that there are some states that really want you. They have taken concrete steps to make themselves more desirable for retirees. These states (and many towns) know that the homes retirees buy and the money they spend locally can be an important, and clean, industry. They call it the “Mailbox Economy” – where the local industry takes the form of the pension, 401(k), dividend/interest, and Social Security checks that arrive in local mailboxes and bank accounts every month. Some of these states might come as a surprise. We developed this list of the top 10 retirement states in two ways. We first attacked it from the negative angle – ruling out states with factors that tend to repel retirees. Then we considered some of the positive things states do to attract people in retirement. Note as always that everyone’s situation is different – for various reasons these states might not be right for you. For example if your income or estate is small, taxes aren’t one of the factors to consider. If you love a particular state or you want to be near your grandchildren in another, those are important considerations. Likewise the availability of healthcare and climate should be considered. – West Virginia. Certified Retirement Community program, no estate or inheritance taxes. Social Security is taxed, however, so that is a potential negative. In addition to the two other states without an income tax, Alaska and Washingon, some other states are attractive for tax reasons. Georgia offered a very generous $65,000 per person retirement exclusion in 2015, and it might increase this year. Kentucky allows a $41,110 per person exclusion. Almost every state offers some type of break for people over 65, although most are fairly small. Having developed our top 10 list, this next section will show you the logic for how we developed it. An easy list of states to exclude are those that tax Social Security benefits, since there are only 13 of them. They are: CT, CO, KS, MO, MN, MT, ND, NE, NM, RI, UT, VT, and WV (some of these exclude a portion of these benefits). Although the taxes you pay Social Security are probably not going to be too onerous, taxing those benefits does not make a “retirement-friendly” statement. There are seven states that have no income tax: Alaska, Florida, Nevada, South Dakota, Texas, Washington, and Wyoming. Obviously that makes those states attractive to retirees interested in minimizing taxation. Tennessee and New Hampshire are also considered tax friendly because they don’t tax earned income. However, since they do tax some interest and dividend income, which is often an important source of support for retirees, that by itself doesn’t propel them to retirement-friendly status. For retirees with significant pension income, however, TN and NH might be appealing. Some other states are welcoming to retirees with pensions, although what they include and exclude can be tricky (military, government, and in-state pensions are most often excluded in whole or part). Although almost all states and many cities have some type of program to control or reduce property taxes on people over 65, most of them are extremely limited and pertain only to people with limited incomes. However a few have taken action that protect practically everyone, not just those with low incomes or over 65. Two of the most far-reaching programs are in California and Florida, and they definitely help retirees. It is worthwhile checking when considering a state or municipality to see if you might qualify for property tax relief – it can make a difference. Since retirees are in the last third of their lives they should be thinking of their estates. Fifteen states and D.C. have an estate or inheritance tax; New Jersey and Maryland have both. A few of these are in synch with the federal estate tax; they come into play with estates over $5.450 million (2016). However some, particularly in the Northeast, start taxing estates at much lower levels. Those states should not be viewed as retirement-friendly, at least for people with larger estates. They include Connecticut, Illinois, Iowa, Kentucky, Maine, Minnesota, Nebraska, New Jersey, New York, Oregon, Pennsylvania, Rhode Island, Vermont, and Washington. Six states have established Certified Retirement Communities to encourage retirees to settle in their states. Those programs typically require each city to meet certain criteria including affordable cost of living, low taxes, low crime rate, quality medical care, recreation, educational and cultural opportunities – and most importantly, a warm, inviting community spirit. Those states include Texas (with almost 50 cities in the program), Louisiana (5 towns), Mississippi (15 towns), West Virginia (6 areas), Tennessee (19 rural and urban communities), and North Carolina (13 communities). Kentucky had a certified program but it appears to be inactive. You might find some of these states more or less attractive for your retirement. Florida and Nevada have no problem attracting retirees to their tax and weather climates. Many of the other states on our list are there because of the things they have done to promote retirement as an economic development strategy. But regardless, you can be confident that these states want retirees and have many good reasons for you to retire there. Comments? What do you think? In your experience do these states strike you as retirement-friendly? Do you know of other states we should have considered? Please share your thoughts in the Comments section below. I was hoping to be pointed to retirement mecca. Alas, I’m still stuck researching and weighing climate, cost of iivng and amenities of prospective retirement destinations. The $5M cutoff for determining whether a state has unfriendly estate taxes is higher than most retirees need to worry about. West Virginia is named as both a 10 Best State to Retire and as an obvious state to avoid because it taxes Social Security? The article misses other informaton that could be critical for some retirees, such as whether a child may be responsible for a parent’s care under developing state Medicaid law (PA). I guess there’s no shortcut to research, research, research against each retiree’s particular circumstance. My wife and I are looking at areas in the southern US to retire (primarily along the gulf coast). We are intrigued by the Lower Alabama area and were surprised that there was no mention, either pro or con in this article. Could you share your thoughts on Alabama for retirement? What happened to Arizona? I know it has state income tax but it does have many other advantages and I think it always scores high on Kipplinger’s site for retirement destinations. This article was valuable to me as it provided links to North Carolina’s Certified Retirement Community program, and Tennessee’s Retire in Tennessee Program. I will be looking into these asap. I was surprised that Georgia wasn’t on the list as the first $65,000 of each individual is tax free ($130,000 per couple). That beats Tennessee’s tax situation. Perhaps i’ll know more once i look into the above links. I always heard Delaware is a great state to retire due to financial advantages….not listed here…what am I missing? Yeah, what happened to Arizona. i moved here to retire, and find it very reasonable. Lot’s of fun things for retirees to do. Just my humble opinion! I’ve found most on this particular forum talk about east coast retirement areas NC, TN & FL ect ect. Having live AZ (PHX) for 42 years, it’s was a great place with many destinations within the state to explore. There are many established and newer retirement communities through the state.. We looked at many including be not limited too PHX, Prescott, Eloy, Green Vally to Tucson. We also considered bordering state including NV where we recently settled. Del Web Sun City Anthem a well established retirement community in Henderson NV. We found housing from 1100-3000+ sq ft ranging /outfrom $130k – $800+. 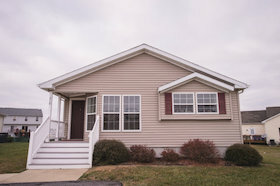 Our Pulte 1712 sq ft home, like all in SCA are single level. Our 2 bedroom, 10×10 multi use office/den , 2 full baths, great room. 2 car garage is very comfortable. This particular floor plan depending on the views range from $180k-$450k currently. The community has 2 fitness centers, a 30k and 70k sq ft with in/outdoor pools, fitness equipment and walking track with panoramic view of Las Vegas. In a separate building there are several different Halls with a wood shop, computer room, several different activities- cycling, stretching, yoga, dancing, tai chi classes ect ect either free or $2-10 a class. Although not gated, there is a continuous patrol driving the neighborhoods while offering at no additional charge daily stops to check on your property while your way. Our association fee is $275 per quarter which is $90 monthly. Nevada does not tax SS and no state income tax. Hope this helps someone. We live on Long Island, New York. Pretty much wherever we move to is lessening my tax burden. Albuquerque here we come. I am pretty sure there is no PERFECT place to retire but if it comes down to two or three choices, I guess some of this can make a difference. I currently live in Tennessee – yes, no income tax but the sales tax is 9-3/4% on EVERYTHING! Also, consider that sometimes, you get what you pay for and services are limited. Delaware is alright – I grew up there – but my parents, and almost every older couple we know, moved over the border into Pennsylvania because PA doesn’t tax pensions. Not sure if that has changed but something to look into. As for us – we’re getting ready to retire to Maine where the temps are cooler and education is important! Can’t wait. Unless specifically exempt, merchandise purchased out of state is subject to tax when brought into Florida within 6 months of the purchase date. This “use tax,” as it is commonly called, is also assessed at the rate of 6 percent. Examples of such taxable purchases include purchases made by mail order or the Internet, furniture delivered from dealers located in another state, and computer equipment delivered by common carrier. Items purchased and used in another state for 6 months or longer are not subject to use tax when the items are later brought into Florida. No use tax is due if the out-of-state dealer charged sales tax of 6 percent or more. If the dealer charged less than 6 percent, you must pay the difference to equal 6 percent. For example, if the dealer charged 4 percent, you must pay the additional 2 percent to Florida. Complete an Out-of- State Purchase Return (Form DR-15MO) to file and pay use tax. You can download this form from our website at http://www.myflorida.com/dor. If the tax owed is less than $1.00, you do not have to file. For SPOSGM – I am pretty sure most states have a “use tax” but it is rarely enforced. However, businesses like automobile dealers, furniture and other large merchandise vendors along the state borders probably have to keep detailed records and advise you. It is my understanding – correct me if I’m wrong – that if you pick it up in another state, you pay that state’s sales tax. If it is delivered to you in your home state, they must collect tax for that state. If you pick it up and bring it home yourself, you are “supposed” to pay the use tax but nobody ever does. Anyone else? From Forbes.com -“You Can Still Escape Sales Tax Online”. The article has all the details including comments that the only people that pay the use Tax are tax lawyers and tax accountants. Each individual is supposed to self report their online purchase amounts and pay the User Tax. Now I know why it is not mentioned in any blogs at top retirements – no one pays. “45 states and the District of Columbia have sales tax. Each has a use tax too. Property purchased online and brought into your state triggers use tax. The only states without sales and use taxes are Alaska, Delaware, Montana, New Hampshire, and Oregon. Thus, unless you are in one of those 5 states, you probably should have been paying use tax all along on purchases escaping sales tax. Another comment regarding Use Tax and internet purchases. Some online retailers are collecting sales tax because they have nexus (in state brick and mortar location, employees or some other reason). Some of them, even if they are not required to collect the tax, are reporting your purchases to the State. If you do not self report then you open yourself up to the State coming after you for evading taxes. I can see the day if the states get really hard up for money the inevitable letter in the mail saying they want that $4.36 in tax and a penalty/fine/fee of $200 because they had to send the letter. This older article alludes to that. There are windy days, usually brought about by passing fronts however imo its not excessive. Sun City Anthem Henderson location is higher above the desert floor and has a consistent 5 degree lower temp then Las Vegas. Today, the morning (0545) was 52 degrees walking over to the clubhouse in shorts and a light jacket. After two hours its 60, sunny skies with a high of 75. Weekly forecast calls for the same temps. Summers are hot, averaging 100-108 but we love the heat, low humidity and very few bugs. When we feel like a getaway for lunch, dinner or an overnighter, we’re fortunate to have unlimited airline lifetime travel pass. McCarren International Airport is a 20 mins drive with many resturants & shopping 1-5 miles, Hospital 3miles, many medical & specialty doctors within 3 miles as well as pharmacys .5-1mile. Like any place there are pros/cons. Flatearth 6 – Moving to Maine to retire? You will certainly find cooler temps – and a lot of snow, ice, and freezing rain! Lovely – perfect in fact for 12-16 weeks of summer and early fall. After that – misery and downright dangerous for older folks who might slip and fall on the ever present sheet of ice on walkways and roads. Start your reading list and pick up a few indoor hobbies because that’s where you will spend most of the year – even if you like to ski or snowshoe, like we did, those are tough to do in ice and freezing rain. And also bring deep pockets because the taxes, both state and local, will eat up your $$$ at a ravenous pace – left after 38 years and are happier, healthier, and keeping much more our retirement dollars! Good luck! Sandy Z – I would like to hear more about why Maine won’t work. We desperately want to go back to New England and the Portland, ME area seemed the best fit – so much to do and the medical support seems good there. We looked at going back to Connecticut or Rhode Island but both states tax EVERYTHING! I posted some questions on the “Maine” forum board – would love to have more input from you there since I cannot message you directly from here. We are currently miserable in SE Tenn. Although we purchased our in Henderson home a few years ago, we only moved onto the area full-time 6mons ago. As far as senior residential apartment complexes I did notice one not far from our location, which might maybe the 7th hills location. If not the village ill post the name. Summerlin is a beautiful area on the far west side. Like much of Las vegas, there are lots of restaurant and shopping options. IMO, I would steer clear of anything in north las vegas and research closely the summerlin area as well. Sun City Anthem is a very safe area and most of the area caters to the seniors living. While some States look great in regards to State income tax, there are those that ha e a high registration tax on motor vehicles. This tax is another “property” tax for them to collect funds for roads, schools, etc. Since “taxes” seems to be the basis of this article, surprised that Pennsylvania– with its no taxes on SS and pensions–is not on a list here. But, with the wide range of comments on the various places, it shows that the “best” place to retire is where (after you’ve done your research– retiree beware) is where you’re happy. 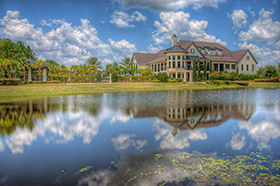 My wife and I relocated to Ellenton, FL(Gulf coast North of Sarasota) this past December. We purchased in a mobile home community…many lessons learned. In FL mobile homes are sold under vehicle regulations, not real estate regs. We didn’t do our homework….paid too much and later had to put too much money into repairs. The home cannot be relocated due to FL’s requirements on the homes age. Also explore the costs you will encounter when renting the land the home sits on vs owning the land. Bottom line…if you are looking into mobile home communities be sure to have an in depth home inspection done first. For us…. we’re in the process of purchasing a home in Sun City Center, FL (just south of Tampa). SSC was a Dell Webb Community and the amenities are top notch and numerous. No mention?…. pro or con?….. on South Carolina ???? As you say, “Although the taxes you pay Social Security are probably not going to be too onerous, taxing those benefits does not make a “retirement-friendly” statement.” I think West Virginia will become a more welcoming state to retirees when they stop taxing Social Security. I went to the WV retirement website, and it does not make a convincing case. Research Albuquerque carefully. Great weather and scenic views don’t offset the many negatives. Florida’s save our home’s program does limit increases in assessed value. But the county that I live in found the easy way around the law. Lake county simply increased the millage rate by almost 18%. In reality, the law doesn’t achieve its intended purpose!! Bummer! Overall, no state income tax, great weather, here we are in the middle of February, and I am enjoying pickleball at 7:30 in the morning in shorts and a t-shirt. Wow. I cannot believe your list. You have Texas, but not Arizona? Unreal. When we moved to Texas 40 years ago from Wisconsin, yes, it was very reasonable. As retirement loomed, though, I had to start really looking at other states to see if it still was reasonable. What an eye opener!!! We looked all over Texas, New Mexico, Nevada, and Arizona. (Florida was excluded because of high humidity and hurricanes. California was excluded because of high costs, earthquakes, and fires.) Everywhere we looked in Texas was extremely high as far as property and rents (should we decide to rent instead of buy). Also, I had to get away from the humidity, and yes, Texas is humid. Property taxes are some of the highest in the country even with Homestead, and so is property insurance (THE highest rates in the country according to my insurance agent in Texas). Traffic in the Henderson/Green Valley NV area plus living costs eliminated Nevada. We liked New Mexico but it just didn’t feel right. 4 years ago I saw a mention of Green Valley AZ on this site. I started researching the town and area. I subscribed to the GV online newspaper. We came to visit the first time 2 years ago and loved it. It felt right. At first, we thought about renting, but when we discovered due to the real estate collapse of 2008 we could get one heck of a deal on a house, we started looking at that. We bought a 12 year old 2 BR, 2 BA, 2 car garage in an upscale HOA that is larger than our 24 year old 3 bedroom home in Texas for 12% less than what the Texas house sold for. Property taxes are 1/4 what they were in Texas, as is property insurance. Car insurance is half what it was in Texas. The piddly amount of state income tax we have to pay on our pensions and annuities is nothing compared to what we are saving on cost of living. (SS is not taxed.) Everything is cheaper………Simple things like pest control is half what it was in Texas. Even in Winter when the snowbirds are here, the traffic is nothing compared to Texas. There is so much more for seniors to do here, plus golf courses and casinos if that’s your thing. We love living in Green Valley, AZ. Our only regret is not moving here sooner. Before you put out your “Best places to retire” lists, you need to really do more research. To have dropped Green Valley and Arizona from your lists was a BIG mistake. You haven’t done your research. I am glad I did. You sound like me. I “looked at going back to Connecticut or Rhode Island but both states tax EVERYTHING!” I’m in Indiana, born in Connecticut and spent summers at the beaches in RI. I bleed Boston Red Sawx red, er, you get the point. Last winter I spent 2 months in a Portland peninsula hotel. I loved it. Believe it or not, it seemed to me the folks of Maine saw a lot of things like I did! A lot more optimistic about the future. Indiana has gotten beat up badly by the state house and governor. It’s too bad, but don’t discuss work pay with anyone – that’s a sore subject! Only surpassed by discussions about the Patriots. Maine was definitely ticket shock for apartments and housing but I’m interested in an apartment my first year. I need to review the positive qualities of other states. However, sales tax was cheaper 5.5% than IN, Gas is higher by 10%, but with the price low, it didn’t matter. Plus for two month’s I mostly walked. I would like to discuss with you. I’ll check the forum daily. Mloug21978 – Would love to discuss this further. Networking is the reason I come here! Check out the “Maine” section of the Forum. We can chat there or if you click on my “name” we can message privately. You are spot on about the attitude there. KaxDax is right – despite taxes, you want to be where you are happy! Sorry…. You forgot the most TAX friendly states.Delaware and South Carolina..two of the most TAX friendly states for Retirees! Not to mention both Coastal and nice weather. I’m loving the interest in New England states in this forum today! Glad I’m not the only one, as some days it feels like it. Yes taxes are horrible here, but it’s still a great place to live and I love it. Just wish there were more over 55 living options. Green Valley Az with its proximity to Nogales deterred us away. Sun City West Phx with the homes being older was a concern. Our Arizona summer bills for a single level 2200 sq ft hm with pool ran $230- $280 from late May to mid October. Our 3000 single level w/pool ( 2 Trane units ) ran $280 – $430 same monthly spread. Thermostat set between 72-80 degrees on SRP time of use plan, absent the plan the cost would be higher. Sun City Anthem Henderson NV traffic during peak rush hour, the airport (14 miles) commute is approx. 20-25mins. Although conjested at times the lights keep it traffic moving. All other times IMO, the traffic on Eastern Ave or Horizon Ridge Parkway ( Green Valley NV) is normal city flow. Pat – yes, I concur with Waynes numbers – we pay between $150-$275 May thru October for our 2,500SF home, no pool. But some months we pay almost nothing for heat/ cooling! We have lots of homes in our community with solar also. Vehicle license is based on value of the car so a new car depending on value will license upwards of $500, my 2007 VW still is $113/year. If southern Arizona interests you I think you should check out Sun City Oro Valley, Saddlebrooke and The Highlands at Dove Mountain all in the north of Tucson area. I’m surprised that the AC bills are so reasonable. I want a VERY small 1 or 2 BR condo, as I plan to travel extensively and don’t want the upkeep and bills on a bigger house for one person and one small dog. I am thinking 800 to 1000 square feet. I had feared AC bills over $400 or $500, but that seems to be at least twice what it will be, so a welcome surprise. Perhaps it is the low humidity that makes the units more efficient and not have to work as hard..
Kaxdax: I think PA didn’t make the list because its high real estate taxes (and gas taxes, among the highest in the nation) more-than-offset the income tax breaks compared to some of the other states on the list. And those real estate taxes include community taxes, local school taxes, and county taxes…three different real estate taxes on one home. In some locations such as in Allegheny County, that tax bill can exceed $8,000 per annum on a $300,000 home. Retirees may not have much income to be taxed by the states that have an income tax, but those real estate taxes will be payable even if taxable income is low. PA does have fantastic health care particularly in the urban and suburban communities, and doesn’t impose a sales tax on clothing, medicine and most groceries. It doesn’t have a personal property on cars, so that’s a saving. However, it also has very cold winters…and it has stink bugs. For some people, it’s may be a big issue that Pennsylvania is one of the states with a filial support law (good article at http://seniorcarecorner.com/responsible-repaying-medicaid-for-parents). Compared to PA, my taxes on a $300,000 home in SC are about $1650 year before any retiree residency discount, and I am now paying less than $1.50 gallon for gas. Even with the personal tax on my vehicle, taxes in the grocery store etc., my net cost of living is substantially less in SC than it was in PA two years ago…plus it’s going to be 68 in February here tomorrow even though we did have freezing temps and a marginal amount of snow last week. The blog gives us more info to consider, but I do understand why PA didn’t make the cut even though I’ll always be a diehard Steelers fan. We could not be more impressed and amazed at the hospitality and helpfulness of the people we have met. This is a list of all the kindness extended within 3 weeks of arriving to the new area where we are currently home shopping in TN. 1. First, people were helpful while we searched for a seasonal rental. We were offered a ridiculously inexpensive rate to stay at a cabin during our 10 week stay. 2. We were treated to a dinner at a Chinese restaurant. 3. We were invited to a pot luck dinner and Mardi Gras party. 4. We were Invited on a river cruise by a couple that recently purchased a 41′ boat. 5.. We were Invited to a BBQ with live music and a house party afterwards. 6. A nearby couple leaving for a 10 day cruise, gave us the perishables in their refrigerator and their paper delivery to enjoy during their vacation. 7. Upon finding out that our car broke down, 2 different couples offered us the use of their cars until ours was fixed. Plus, someone offered to help us on the road during the breakdown. 8. 2 different neighbors gave us their Internet router codes, so we could get online to search for properties. 9. 2 different couples have lent us magazines, books, movies and concert cd’s to view because there isn’t any tv reception where we are staying. They have also offered us extra warm clothing and blankets if it is too cold for us, and if the heater can’t keep up. They can’t seem to help us enough. They offer to pick up anything we might need, as they head out to do their errands. Isn’t all this incredible? I’ve probably even forgot some things by now. We feel so profoundly blessed as we search for a permanent home here in SE Tennessee. If you are a more private person, you may think that this is too much involvement, however for us at this time, we are extremely grateful for genuine people that really are concerned for their neighborhood.. Caps, we are also looking in the eastern part of Tennessee and found the people extremely helpful and friendly. What part of Tennessee are you interested in? Caps, i’m so happy things are working out so well for you and DH. (Sorry about the car part, though.) Hope you find something wonderful soon! Hi! Also looking in TN and interested in knowing what specific area you are looking Caps, would you please share? SE could be many places:) Thank you so much!! We have been vacationing in Eastern TN since 2009. We are mostly interested because of the beauty of the water, (not unlike our home-state of MN) and the mountainous scenery. A lower cost of living (taxes mostly), fewer bugs and warmer weather are also a plus. The laid back, friendly residents with a sense of patriotism and concern for others is a good match for us. We have visited many other areas of our beautiful country, yet this just seems to be best for us at this time of our lives. 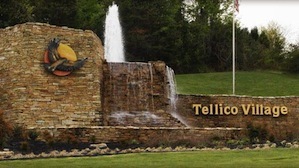 When we realized we wanted to start checking out this area, we had heard about Tellico Village, so we started there. It was a Realtor there that told us about this great website, and we have followed it ever since! Almost perfect, but no close-by functional small airport. DH has a serious flying habit. Then, on to Deerfield on Lake Norris, which was just too remote for us. Then for several years, we searched Campbell County (good airport), yet over 90% of the homes had many steps. Not good for me with my knee issues. So last year, we started checking out the Cleveland area, which we really like, but the lake homes are outside of the city. DH signed up on the airport hangar list, nonetheless. We were contacted just 2 weeks ago, and they now have openings because of a huge expansion. Good to go………..all we need to do now, is to find the right home for us. Someone wrote on here recently, that they were leaving this area, yet didn’t specify their reasons. I am still curious, however. What areas are you thinking about, Debbie and Virginia? I was afraid I would forget something on my list above. Yes, one guy gave us a loaf of his own homemade bread to try. Delicious! Another guy gave us 2 qts. of his homemade sauerkraut to try, when he found out that we liked German food. Plus, a sample of his homemade pickles. Another women gave us a qt. of her homemade blueberry pie filling, when she found out how much I loved blueberries! Can you believe this? We’re almost afraid to mention anything, because people are always wanting to be so helpful. Thanks so much, Ella. It isn’t very often that the WiFi works well enough to post out here in woods! I have been looking at NC around Charlotte, Lake Norman area. Can anyone comment on the current status of the ‘coal ash’ water contamination due to Duke Electric leaking coal ash ponds which are scattered throughout NC, including SC. Ddaigle: I work in Charlotte, and have only seen a few articles in the Charlotte newspaper about coal ash in the last year. You will probably find more info on-lne on environmentalist sites. Duke committed to cleaning up the contamination, and it doesn’t seem to be viewed as major news anymore. Right now there’s more interest in Huntersville’s unexplained cluster of eye cancer cases, which might have something to do with the high school. Caps, when someone gives you a quart of moonshine, you know you will be home!! ???? Caps – you asked about SE Tennessee and I’m sure, no matter what I say, it will sound snarky but perhaps we are looking for different things. We are a little farther south of where you are looking and when we moved here 9 yrs ago (for work) we were told that education is NOT a priority in Tennessee. That is certainly true! Southern culture is very different. Also, it doesn’t seem to matter as much any more but people always want to know what church we attend and shops like to quote Bible verses. I like our neighborhood on the lake but as friendly as the southerners are – they don’t want to be your friends. I have made some wonderful friends here but they are all from up north – Wisconsin, Indiana, New York, New Jersey, Massachusetts, etc. We live outside the city, closer to where my husband works and there is light traffic but I am tired of driving out of the neighborhood, up and over the ridge just to get to any shops. We have a lot of trees but there is no top soil on the ridge so gardening has been a huge challenge. The summers are too hot and too humid and the winters can be dangerous. The county plows the main roads but if there is ice or snow (we had 9″ one year) the secondary roads are NOT plowed. We were stuck in our house for a week with no way to get out and no mail or newspaper. Ice and fog can be an issue. Downtown, there are shootings every week and gang activity seems to be high. Drivers are inconsiderate, there is lots of trash on the roads, and they drive down the center so be alert. Most of the restaurants are fast food and I am not a fan of southern cooking. At least they finally banned smoking in recent years so it is easier to enjoy a meal out, when we do go. Sales tax is 9-3/4% on everything and I don’t shop at Walmart so that can be frustrating. Lots of people go to the Atlanta area to shop. Although there are several local hospitals, there is no support for Parkinsons in this area. We drive to Knoxville several times a year for a specialist, then we’re on our own. They seem to have decent support for cancer and cardiac patients here but anything else seems to baffle them. I do know of several people who have traveled away for better medical care. I guess we just miss what we’re used too – the northeastern coast. Happy to answer any other questions you may have. Glad you found an area that is going to work for you! My husband and I love the NC mountains and have always visited those areas. Last year though we began looking at the eastern part of Tennessee. I have a friend that will be living in the Dandridge area which is not far north east of Knoxville. We explored that area and enjoyed it very much. It is just so hard to know! Yup, we drove over to Dandridge as well. Albeit quite breathtaking, we thought it was a little too far from Knoxville at the time, and the water front homes were mostly too many levels and away from level lake-shore. Bill, we have actually been treated to homemade moonshine several times! I was only given about about a 1/3 of a cup to enjoy at my leisure. My husband dumped it down the drain, because he thought it was water. Good thing it wasn’t a larger amount! Been looking to retire in the south east but not Florida, so far we like the Del Web in Griffin, Georgia. But would like to look at other areas that are comparable in price and amenities. Looking at home prices $250,000 or less. Also has anybody done a reverse mortgage on buying a new home? Any info would be great. Dennis, here is a website explaining HECM (Home Equity Conversion Mortgages). Just think caps, you probably have the cleanest drains in East Tennessee! I am new on here, but have been reading your comments about Tn. with great interest. 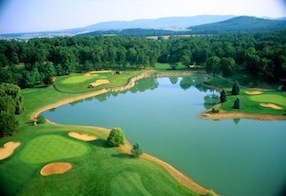 My husband and I will be moving up to the Crossville area (Fairfield Glade) in a month. Again, I found the people to be extremely friendly and only time will tell if the locals will become actual friends, but I feel we are off to a good start with then environment we experienced so far on our journey. I enjoy browsing through the extensive posts by people in my same situation, and those that have been “through it and learned a thing or two”. I am on the glide path to retirement–5 1/2 years, but who’s counting. My wife and I are tiring of the winters in MN (our life long state of residence), as well as the hyper-liberal leaders who continue to tell us what is best for us. Our governor recently told us citizens to “move out of the state” if we didn’t like his plan to actively seek more non-vetted refugees from high risk parts of the world. So, we are considering his advice. I would like to know if anyone has some advice on a couple areas we have been looking to retire to–St George UT and Lake Havasu City AZ. We are both active outdoor people and although we are fairly conservative, we get along with just about anyone, regardless of religion, ethnicity, or sexual orientation, as we feel that is their own business. These two cities seem to have a nice mix of cost of living and quality of life. I would be interested in other people’s perspective. Virginia, I think there are places to rent there as well. You could perhaps call Glade Realty or someplace like that and ask. Thank you for your comment. We ARE excited and are really looking forward to living in the whole area because it is so diverse, and so very beautiful.! My husband and I are retiring to coastal Oregon. It’s beautiful , no sales tax and 1 bedroom apartments start at $600 per month. Any opinion about renting versus purchasing a home/condo for retirement? Starting to think about retirement. My husband is 9 years younger and still has some time to go. We live in SF and life is way too expensive. Editor’s note: Good question Lucia. We posted this comment to another article here where it fits better. If you have suggestions for Lucia please make them there. Mississippi is on the list of best places to retire…..but homeowner’s insurance is not mentioned. In the Gulfcoast area…..is anyone familiar with homeowner’s insurance rates? The closer you get to water, the higher the insurance goes. Since Katrina, prices have gone way up, that’s why some homeowners didn’t rebuild as they couldn’t afford the insurance. Thinking of moving to Conroy, SC. Does anyone have any insight on this area? Love Wilmington, NC but afraid of hurricanes here. Any comments? And, What do you think of New Bern NC? Diane, I’ll answer for Conway, SC. We looked at houses on the Waccamaw River and like what we saw. We just wanted to be closer to the ocean. The town is a real mixed bag; older homes; some new development; crime in parts of the town is problematic. We’re now focusing on NE FL, Amelia Island, Jacksonville, Ponte Vedra Beach. @diane Petilli: If you are afraid of hurricanes, do not locate anywhere on the coast. Hurricanes are always a possibility on the coast. And guess what–they sometimes travel inland. Personally, I love being on the water and the risk of a hurricane now and again seems a small price to pay. Your mileage may vary. As with Southern California: The potential risk of a very serious overdue earthquake does not deter people from coming here, and coming here, and still coming here!!! For some of you who live in no income tax states and are required to take the Required Minimum DIstribution from IRA’s, etc at age 71 1/2 can you tell us if you have benefitted greatly by not getting taxed by your State? I live in CT which has an income tax. I want to keep more money in my pocket when the time comes. So if it is worth it, we will have to move to a no income tax state. But considering the cost of moving, not sure if it is worth it in the end. Yes, my mistake 70 1/2. Typo! My financial advisor tells me that unless your income in retirement is large enough to put you in the upper brackets, worrying about taxes isn’t worth it when deciding whether to stay, move, or move to a tax free state. I can tell you that moving is expensive and there’s the emotional turmoil related to moving to a strange place and putting down new roots. Laney, I think this is a really good point. Worrying about costs that may be only a hundred to a few hundred a year may not really be a good perspective when it comes to long term retirement happiness. I realize that for some few $200 a year (for example) may be critical, but for most it’s manageable at worst. Multiples of $200 a year for various factors can well add up to a different ball game, but if a couple hundred in taxes is all that stands between you and long desired or personally valuable retirement experience, consider it a cost of your happiness and settle. Well, as a person who gets MRDs and moved from a high tax state (Minnesota) to a no state taxes state (Florida), I can tell you it makes much more than a $200/year difference. More like $1500/year. And that’s just income taxes on the MRD. Not even talking about the outrageous property taxes in Minnesota. Cost of the move easily amortized over a few years. I’m single. Would be even more of a difference if you’re a couple and both have income. Yes when you factor in property taxes the savings can be in the thousands of dollars per year. I know I’m saving at least five grand a year living in Georgia compared to Illinois where I used to live. At least in Texas the lack of a state income tax is more than made up for with extremely high property taxes (at least from our perspective). Enough that it took that state off our consideration list. I believe RMDs must begin in the year *after* the year in which you turn 70 1/2. Check the IRS website or Google it. You may also want to consider doing “mock” state income tax returns to compare the taxes of states you are considering. Take into consideration the cost of real estate taxes, additional local sales tax and personal property taxes that you may not have in your present location. 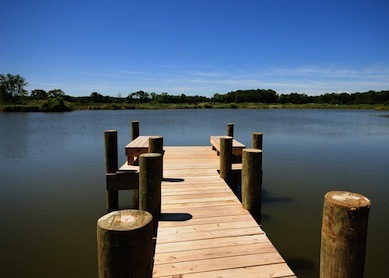 Is Millsboro Delaware a good retirement site? Relocating from N New Jersey. Need a fenced in yard for a dog. 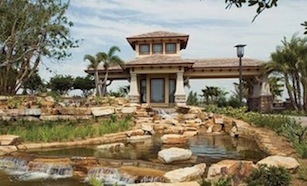 Worried that those planned communities may be too tight but love the amenities and new homes. “Michigan has an exemption of $47,309 per person for pension income along with $20,000 in interest, dividends, and capital gains” Don’t know where you come up with this one, I get a $30,000 pensions and pay tax on everything over $20,000. Having lived in AZ for 12+ years, I can comment on some of the retirees concerns. Property taxes are reasonable here, about 2/3 lower than Texas, and homeowners insurance is lower also. Auto insurance probably varies depending on where you live in the state. Pension income is taxed but there are some exemptions allowed – rate isn’t excessive – although having moved here from Texas I’d rather not pay any income tax at all. Currently, housing prices are going up rather quickly since we are moving beyond the 2007-08 market crash. My house is currently worth almost twice what I paid for it in 2004 – which has me considering moving. Some of the negatives of AZ include extremely poor legislation in areas that may impact seniors – no oversight of HOA’s (which have been a real big problem here in some instances) and lack of regulatory control over the assets of elders unable to care for themselves and becoming wards of the state. (One local lady was fleeced out of several million dollars by an “elder care” group – aided and abetted by a local judge who refused to control them.) The largest negative here is the heat. In the two major metropolitan areas, Phoenix and Tucson, what most people would consider “summer temperatures” (85 or higher) are with us for about 10 months a year. And we have an average of 100 days a year with triple digit temperatures (100-120). Each summer seems to get hotter and longer than previous. Today, 10/27, we set another record with the latest triple-digit day (100) ever recorded in PHX. And I can assure you that triple-digit heat is extremely dangerous. We even lose young healthy adults to the heat on a regular basis, not to mention the poor kids left in hot cars. Something else to consider – as the population expands here and in Southern California, and as drought conditions continue to plague both areas, water is going to become increasingly scarce and expensive (will also effect Nevada – just look at pictures of Lake Mead). Of course, you can always escape the heat by living in the “high country” – if you don’t mind putting up with the perennial forest fires in your neighborhood. If you plan to move here, I’d suggest renting a place for a few months around July and August (lots of rental property available then) so you don’t have any surprises after you’ve made a firm commitment. Thank you so much, Marjorie! Goodyear has been my plan for quite a while but the possible/probable water concerns I’ve read about recently have me re-thinking ( i currently live in S. Calif). TY for taking time to post your insights. Most people will consider Marjorie’s comments as negative and I’m sure there will be some counter comments. Since 18 months ago we did as Marjorie suggests and rented for a month in central AZ (about 12 miles south of Sedona in the Verde Valley), I will add a couple of negatives that Marjorie did not list and which finally helped decide us against considering AZ as a place to live. That way all the counter claims can consolodate :<) . Compared to the eastern US where many might come from, AZ is intensely dry — dry enough to affect comfort and health for those sensitive to the constant low humidity. Even on normal, average days, AZ tends to be windy and dusty. We found that to be unpleasant. In addition, some areas are on occasion (not often) struck by intense dust storms — these commonly make the national news due to their impact. I don't think Marjorie really emphasized the impending water crisis in all these southwestern areas adequately. In some ways it's comparable to the impending massive CA earthquake. We know it's coming, we know it will be disastrous, but as long as it doesn't hit, we can "safely" ignore it. Finally, for many the political climate of AZ simply does not make for an attractive community — and I say this coming from currently ultra-conservative NC. To each their own. Arizona. Phoenix seems to hot. Tucson maybe tolerable (-5 degrees). Do either of you have opinions on that town? Your comments are right on. But I am curious, what area are you considering? Rich brought up the issue of the political climate and it’s one that factors into my decision. Does anyone have experience in living red/blue in a state of the opposite color and how does it affect you? I don’t really discuss politics a lot with people but the states political persuasion affects so many of its laws so it’s always there even if you don’t discuss politics. I’m interested in moving to a state that is the opposite of my political background and in particular to a city that is really, really opposite. What experiences have people had with this? Does it have much of an impact? You may want to check out Prescott under Arizona on the Forum page for comments and information about living in Prescott. JoannC, Each state has it’s own Constitution. It forms State individuality in regards to political issues and beliefs. Take Alabama, A red State. When I lived there for 5 years, I was shocked at the little assistance to the poorer citizens. When the poor took a stand, Alabama voted for Obama, a Democrat I thought good for them. Did it help their State? Very little with a red Governor. Take Ohio, an equally blue/red State, its State Constitution has made provision for the poorer citizens. Every time we get a new party for Governor, they change the State Constitution. Some of the changes have been good, some bad. (Especially when that Governor has held office for too long.) Take Oregon, a blue State. After Reagan they have been Democratic for the poor, but big on the 2nd amendment.Not much change except in medical areas. So I would suggest you take your personal views, deciding on a location, after you read that States’ Constitution and the State website. DeyErmand, what you’ve said is yet another argument for a long-term visit before making your final decision about a place. The “culture” or “flavor” or “essence” or whatever you want to call it, that makes a place what it is can’t be described easily. Only by having your feet on the ground for at least a month can you begin to understand it. I’ve lived much of my life in places politically opposite to me. It’s a skill that can be learned if you’re so inclined and are willing to live kind of under the radar and not make waves. There will always be like-minded souls around. You’ll find them if you hang out in places they are likely to be. I so disagree with Rich that all AZ is dusty and windy!!! I live in Phoenix, AZ north of Scottsdale, the climate here is dry, and very few days of wind! I hate windy areas, and would never have moved here if that was the case. I love it here, having lived in the humid South and East coast for a large part of my life! What a lovely change, yes is gets hot as heck 3 months of the year, but the rest is great for me personally. It is not dusty where I live at all..if you live further out in some parts, you will get the dust storms, as it is a desert. You have to check out different areas. Also for Moderator Flo, Prescott is much cooler and greener, if that helps. More of a small town feel rather than a large city like Phoenix. Also, I moved here from California from Los Angeles, and prior to that I lived in San Francisco. Can’t beat the cost of living here, the lower taxes, great roads and all the other amenities. I meet tons of people that escaped Calif and moved to Az. Also, if you do your research on water, Arizona manages our water very well, and has long term planning for us. Go visit and talk to people that live here that is my advice for anyone considering this state! Brain rot sets in when you surround yourself only with people who share your views. Remember growing up hearing don’t discuss Religion or Politics? Always good advice until you get your feet on the ground first. I think the different States I have lived in, have good reasons for their “views” and I have a respect for the different issues that makes them individual as a State. I sure am not going to say in Alabama, “In Ohio we do it this way!” I would sure enough get “Honey, you’re in Alabama now!” with a cold shoulder. Mike, While in Cottonwood (Verde Valley, AZ) we crossed the mountain to visit Prescott several times. For the most part AZ is AZ — what I described is appropriate. We were there for the month of May, though we have visited AZ in late summer also. So my thoughts about dry climate and windy dust probably were formed in a more moderate time frame. Michael, We are already settled where we have decided to be — central NC — and have been here for almost all our lives. We have visited short-term all over the US. After those exploratory trips, in 2015 we wanted to “test” two areas that we considered as possible alternatives — AZ and CO. We agreed that both have their merits, both have their beauties (especially CO) and that we will continue to visit as long a we can, but neither (or honestly, anywhere else) is a place we would choose instead of where we live. As has just been said here, you learn to accept and adjust to the politics (and to feel relief that it is not worse) and participate at whatever level you choose to help correct any perceived deficiencies. While the political climate of NC is currently dominated by conservatives, the state in general has wandered back and forth over many years. I found Sandies’ comment a bit biting, but absolutely true. Being a stickler for facts, I’ve got to make a comment on DeyErmand’s post. Alabama didn’t vote for Obama in the 2012 or 2008. Romney and McCain each carried the state in their elections. I too have an opinion on living where the political leanings are the opposite of yours. It’s not so fun. It can get you down when you know going to the polls is a joke against your political party. If you feel strongly about political issues, I caution you against putting yourself in that position. I’ve been suffering this situation for decades, but am on this forum because I’m going to do something about it. Finally. I only want to state I was referring to the Alabama poor… standing up and voting. sorry. If you’ve narrowed your search to a few specific locations, reading the online version of the local newspaper is an excellent way to get a better understanding of what it’s like to live there. In addition to politics, you’re likely to learn a lot about traffic, crime, recreation, and the arts, as well as the local real estate market and the uniqueness of individual neighborhoods. Most online newspapers require paid subscriptions if you want complete access to their publication, but a short-term subscription is a small price to pay when you’re making a major relocation decision. Judith – thanks, that’s the kind of input I was looking for (though not necessarily the answer I wanted). I generally avoid discussing politics, even with friends, but if the political direction of the state or city is strongly contrary to one’s beliefs, it does seem it would make it difficult. I’m not particularly concerned about brain rot (not because I don’t care if it happens to me – I do!) but because I’m pretty open to the world around me (living in Russia for 4+ years will do that to you), notwithstanding my political views (which actually changed from one color to another when I went to law school). Thanks and NC has many pluses. I’ve been fortunate to had lived in Tyron and Fayetteville and would love to return. Unfortunately my wife does not love the humidity, but neither does my asthma. I am going to retire soon and I am looking for a warm and mild winters with no or less humidity. I checked New Mexico but it did not impressed me too much. I also tried Florida several times but it awful humid. I tried Arizona -very hot around Phoenix and cooler as you go north. I would welcome some thoughts. To add to Larry’s comment, no state income tax Texas, has horrendously high property taxes. An advantage if you are making a lot of money, but if you’re only making 50,000$ a year, not a huge benefi. You’re still paying $7500 on a 350,000 house. And, no state income tax tax Tennessee. My feeling is that the low income folks have a tough time. Sales tax is high, nearing 10% in some areas, and they tax food! How much does that no income tax help a low income folk? This is my analysis, but your scenario may be different. Larry and Vickie are spot on! For the most part, taxes are going to balance out one way or the other. IMO, when choosing between NC, SC, TN, or VA (as examples), taxes should be near the last in importance for that decision. The environment, surroundings, people, services, the “feel” of the place and other considerations that matter to you, in YOUR order of importance, should all come first. We are looking to move back to New England for retirement. Again – property tax inside the city limits will be more than just outside the city limits. We are currently debating if it is worth the extra money to be closer to town – might be. We know state tax will be higher in New England – having to pay for plowing on top of other things. As we plan our budge, we took that into consideration. Being close to medical and cooler weather are more important. Larry and Rich, Excellent points! Here’s something else to consider about cost of living in deciding which state is less expensive. As mentioned above, Texas has very high property taxes mostly due to the state not being able to fairly fund the school systems. The local school systems have to make up for the little that the state pays. But what I wanted to add was that in states that have a lot of violent weather (hail and tornados) like Texas and other areas in the South and Midwest, there are also very high property and auto insurance rates. Our insurance company kept trying to get us to raise our homeowners deductible in order to lower our premium but I resisted because I knew it would leave us exposed if we had a bad storm. Well, we did have a bad hail storm last year and we are in the process of getting a new roof on our house that with the 1% deductible will cost us over $7000 out of pocket. The insurance company will be paying out over $30,000. We also have hail damage to two older cars that we will not be claiming because we don’t want the car insurance premiums to increase.
. At 701/2 you must take required minimum distributions, RMDs. In some states, the tax on these distributions can be significant, more than real estate taxes in other states. It makes sense to make yourself aware of the total bite of your preferred home address. I really don’t think the education in the northeastern state is worth the tax that supposedly pays for it. county makes up for the lack of state income tax, in part, at least, with something called a “bed tax” on hotel rooms. Big bucks from this transfer of funds into the state. Lynn, that’s a good point. Tourism is a great source of income for Florida…as long as people keep coming. But during a travel-sapping recession (e.g. 2008/09), those funds are vulnerable. State income taxes may be onerous, but at least they are reliable. State income taxes are only reliable when people continue to be employed at good wages. During a downturn, state income tax collection takes a hit as well. I’ll take the rich uncle of tourism in Florida over the Minnesota income taxes any day! LS—-$37,000 for a new roof ? I recently got 3 quotes on a new roof, $49,000, 18,000 – 20,000 and 16,000. So $37,000 is not that far out of the ball park. These quotes are for Michigan, so perhaps it costs more in other States. The $16,000 quote is from a friend of my husband’s, who happens to own a roofing business. My financial guru is going to have a fit. That dollar amount is for a million dollar house and it includes high-end designer shingles, complete gutter replacement, numerous roof vents and window screens. They charge extra for the high pitch roof also. For those of you wondering why PA isn’t on the list– real estate prices have risen astronomically( as in other locations) and real estate taxes are exceptionally high. It’s nice as a pensioner not to be taxed, but when you’re paying almost $9,000 in real estate taxes you wonder if it’s worth a trade off. Gasoline is also heavily taxed. Right now it’s at least $3.09 a gallon, a lot more than neighboring states. Low property taxes, no sales taxes and the climate is perfect. Healthcare is also on the uprise from what I have been reading. We know we will have to leave CT in 18-24 months after my husband’s job will end when his company closes. I love living in New England. So far I’ve identified Delaware, eastern TN, and, of course, NH. You cannot base your decision on just taxes. The proposed $10,000 max state/city deductible tax will hit those in my state, and early estimates are that home sale prices may drop as much as 6% as this factors into housing. Another consideration is that second home full mortgage deductible will be squeezed, making these houses more expensive to own. Some of these homes may flood the market making expensive places such as Bethany Beach much more affordable. I found a site that was great for my comparisons. Not only income taxes affect the cost of living, fuel, etc. If you have not tried this site, I strongly urge to read all the comparisons for your own town and the place you are considering living. When you have settled on that, compare the new place and others you are thinking of as alternatives. I’m having a great time with it, hope you find it as valuable as I have. Thanks for the link – but keep in mind that the people who make these lists may NEVER have actually visited these locations. Newark NJ is listed as a retirement city is a huge error IMO – see the full list. Cautions on low property taxes – you get what you pay for! We moved to SC from NJ (which has high property, sales, and income taxes, not to mention extra fees on everything) and almost immediately noticed that the things we missed most living there were those things that made our hometown special. Things like the quality of the library, the response time for calls to 911, the rational planning board and process for variances, traffic control, etc., etc. That’s why we moved to Pa from SC – lower state taxes (no income tax on pensions, iras, 401ks and lower tax on dividends and interest and capital gains) but property taxes commensurate with the services provided. Another thing to consider in the booming locations in the south – at some point they will have to work on the roads and hire more cops, etc., and you can guess that the property taxes will have to go up to finance those improvements and others. So far we really like the area we are in and will be snow birds in the winter. Delaware is an enticing retirement destination, especially for those in the northeast, but be aware that the increase in 55+ communities brings some challenges. In many locations, especially in proximity to the beach, traffic can be horrendous. And while the hospitals and medical care are well ranked, in some areas it can now be difficult to find a primary care physician. Staci – I agree that there will be enormous challenges moving from my neighborhood in CT with it’s almost 2 acre lots and open space everywhere (including 3 1/2 acres along and back of my house. I’m not sure we could make that significant a change. I think that if we choose a city outside New England we will first visit it for a week at prime time (Delaware in summer, Maine in winter) then we would rent a property, live in it for 6 months to a year and make a decision on if we can make a home in that area. I don’t want to make a big mistake of buying and hating where we are, and then go through the misery of selling a home again. I’ve used Sperlings Best Places for years and it’s not as simple to use as you may think. For example, a neighborhood like yours with lots of land would be averaged in with neighborhoods with shacks, and everything inbetween. Then, the cost for housing would be based on that average. Upon visiting the area, if you wanted a beautiful place to live, you would pay waaaay more than Sperlings has listed for real estate. I’ve also found that climate isn’t always accurate. I’ve been told by natives that 8 inches of snow in the winter is really 15, etc. But, like you, i do enjoy the website. Just not sure how helpful it is. What about inclusion? I didnt find any mention of this for any states/communities mentioned. African American, Asian, Native, Hispanic, gay etc. I realky want to live in a community that is welcoming to everyone. Editor’s note: This is an important area but one where your personal exploration and networking is going to be essential. No substitute for being on the ground to get the sense of how welcoming a place might be. There are many welcoming places, and unfortunately some that are not. Doris, Although lists of “best places” usually focus on things like weather, costs, activities, etc. you can find a lot out about an area by reading the local newspapers (online versions) and also checking the groups on meetup.com for the area. You can even reach out to meetup members (or the organizer) on meetup groups or search Facebook to see if there are groups in the area you want to ask about specific neighborhoods – most people are happy to be helpful. I also wondered about inclusion and living in an accepting community. I am planning on renting in Florida when I go. There is such a climate of hate in the world it is scary. I have also found information on City-Data.com.